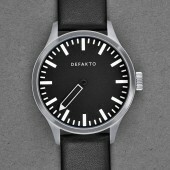 The Defakto Eins Inkognito could not be more puristic. 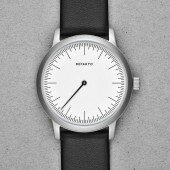 In addition to its aesthetics the ultra-minimal dial of the logo-free single-hand watch leads to a timepiece that allows both left- and right-handed use in the same model by simply turning the watch 180 degrees and adjusting the time to fit. 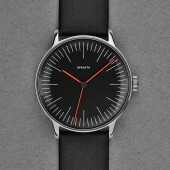 The Eins Inkognito is the only minimalist one-hand watch that will turn heads. 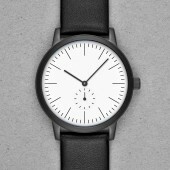 Its puristic dial and the singular skeleton hand make a unique statement – one that says you live at your own pace. 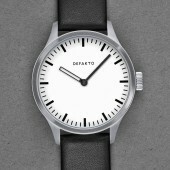 On the Defakto Eins, time is read in intervals rather than moments, as the indexes represent only the hour and quarter-hour periods. 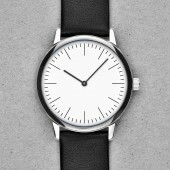 The large single hand is simultaneously used to read both the hour and approximate minute. 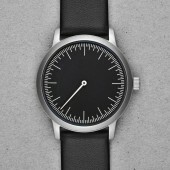 Due to the extensive, almost brutalistic indexing, the time can be read accurately to the nearest five minute interval. 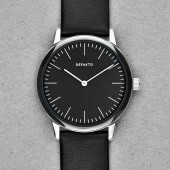 Wearing the watch for a while will give you a more positive, intuitive approach to time. 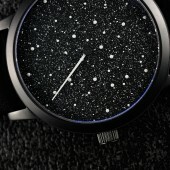 The lack of precision will fine-tune your intuition and decelerate your day. 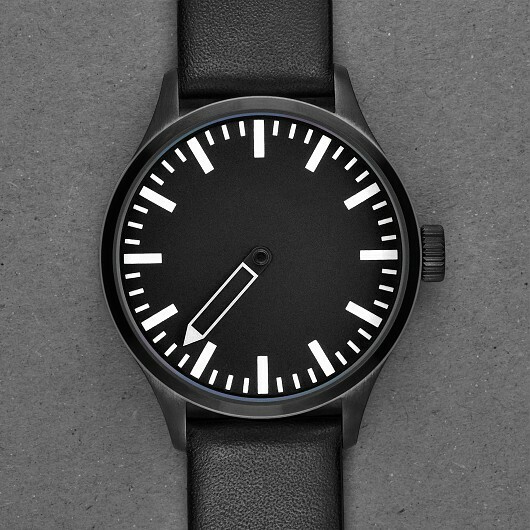 This single-hand watch will change your perception of time. 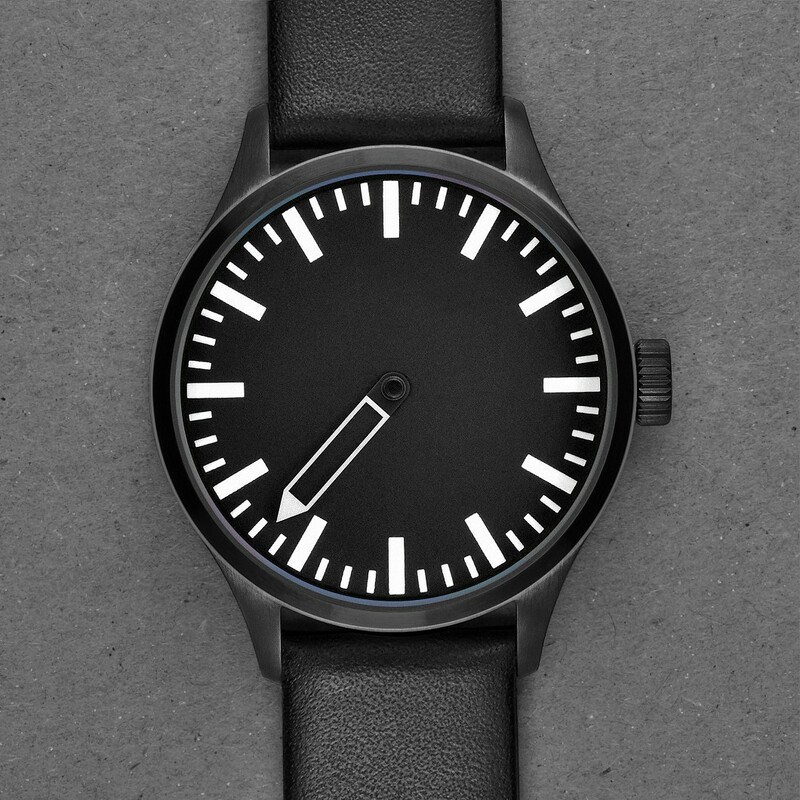 The 9.8 mm high, 42 mm diameter watch case is made of stainless steel and has a see-through back that provides a view of the automatic movement. 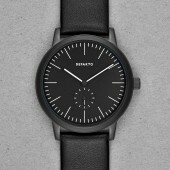 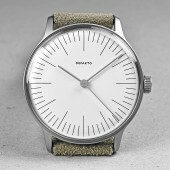 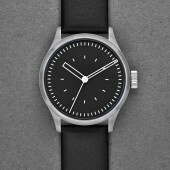 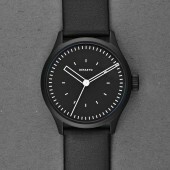 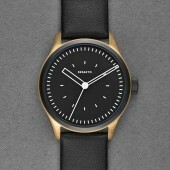 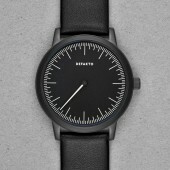 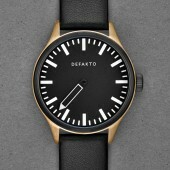 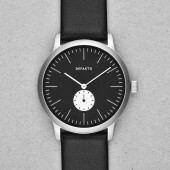 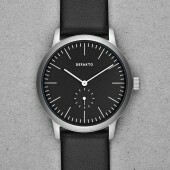 The handmade brushed surface of the watch adds a personal touch, as no two Defakto Eins watches look exactly alike. 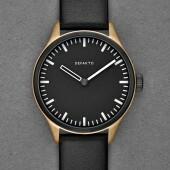 The Swiss made automatic movement ETA 2824-2 has a gear reserve of at least 40 hours. 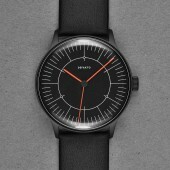 The dial and hands are coated with Swiss-made fluorescent Superluminova. 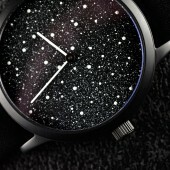 The interior antireflective, highly scratch-resistant sapphire glass reduces interfering reflections. 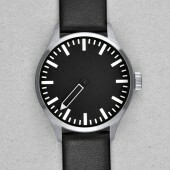 The Eins offers a water resistance of 50 m / 5 atm.